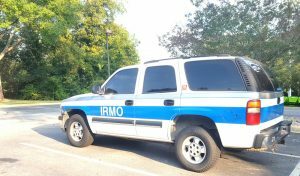 The hard-working staff of the Town of Irmo Public Services Department are the ones who quietly make sure the Town looks its best every day. The department plays an important role in the Town’s visibility. 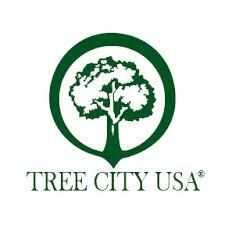 You are sure to find them maintaining the Town parks or decorating the Town for Christmas. 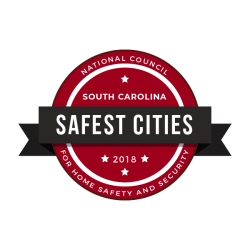 Many of the tasks that fall under the department’s responsibility are accomplished quietly and in the background to include all Town of Irmo events. The staff performs duties related to park maintenance, beautification throughout the town including I-26 interchanges. Town of Irmo owns and maintains three beautiful parks, Community Park of Irmo , Irmo Town Park , and Irmo Veterans’ Park. Our parks are open 7:00 a.m. to 10:00 p.m. daily and are free for public use. Smoking is not allowed in any of our town parks. Please note the facilities are first come first serve unless it has been reserved. All fees and contracts must be paid and completed before the facility is considered reserved. For information about reserving a facility at any of our parks, please click on the link below. If you need additional information, please call 803.781.7050. Test Your Soil before applying fertilizer to your lawn – your lawn may already have enough nutrients. Excess nutrients from excess fertilizer ends up in our lakes and rivers leading to algae blooms and fish kills. Pick Up Pet Waste to keep it from contaminating water supplies. You can flush the waste, bag it for trash or build a doggie-loo (pet waste septic system). Wash Your Car On The Lawn instead of the driveway to minimize runoff into the storm drain and use low-phosphorus, biodegradable soaps. Remember to check your car for leaks – these chemicals wash off road surfaces into the waterway. Bag Grass Clippings And Leaves Or Use Them As Compost. Don’t sweep them into the street or down storm drains as that leads to nutrient issues and potential clogging and flooding. Don’t Over-Water Your Lawn, doing so sends more pollutants into nearby drains. Plus, your lawn only requires little more than an inch of rain per week. A rain gauge will help you keep track of how much rain your lawn is receiving. To report illicit discharge, please complete the online Illicit Discharge Reporting Form. For more information, please see Lexington County Stormwater. Washing your car at home can use 80-140 gallons of water – In comparison, a commercial car wash facility uses 40-45 gallons of water per wash. Many commercial car washes recycle and reuse the wash water that is generated. Most professional car washes save water by using high pressure pumps to clean the car thoroughly while conserving water. The presence of soap in waterways at low concentrations can kill fish eggs and at higher concentrations lead to fish kills. There are 214,023 personal vehicles registered in Lexington County. If 40% of those vehicles are washed at home once a month, then well over 82 million gallons of polluted water could potentially enter local waterways. The Lexington Countywide Stormwater Consortium (LCSC) has partnered with local commercial car wash operators to launch the Car Wash Fundraiser Program. Community groups can purchase discounted car wash coupons from participating facilities that they can then re-sell. It’s quick, easy and safe for the environment. Car wash fundraisers are an important means for an organization to raise money, but if the wash water isn’t handled properly, it can be harmful to the environment. Car wash fundraisers are usually held in parking lots of local businesses where the water enters the storm drain. The water that enters a storm drain doesn’t go to a wastewater treatment facility where it is cleaned. Instead the water empties directly into local creeks, rivers and streams. All of the pollutants that are in wash water go down the storm drain and are deposited in local waterways as well. If you think about all the pollutants that are in car wash water, soaps, oils & grease, heavy metals, you realize that a lot of pollutants can be transported to local waterways. Commercial car washing facilities direct their wash water to the sanitary sewer where the wash water is treated. Most commercial car wash facilities use special equipment to conserve water and recycle the wash water at their facility. Using a commercial facility is the best choice when washing a car. This partnership allows local organizations to meet their fundraising goals without holding the traditional (time consuming and labor intensive) car wash. Through this partnership groups can not only raise funds year-round they can also ensure that their fundraisers will not be harmful to the environment. We urge local groups to contact the participating car washes and get started selling tickets instead of holding car washes in a parking lot somewhere. "What Is A Rain Barrel?" Save rain, save water, save money! Did you know that half of a typical household’s water use is outside of the home? That’s half of your water bill! Rain barrels, or similar rain catchment systems (cisterns), have been used throughout history in many different cultures. Rainwater collection systems offer many benefits to individuals who use them, ranging from lower water bills to a better quality water for plants (no chlorine, which some plants dislike). Rainwater collection systems also benefit the environment. The obvious advantages are less withdrawal of groundwater and conserved use of treated municipal water. The less obvious advantage of rainwater collection is that it helps reduce stormwater runoff, lessening the amount of runoff that may lead to flooding. Click on Rain Barrel Construction Instructions to build your own rain barrel. "What Is A Rain Garden?" A rain garden is a landscape depression that intercepts runoff, and allows the water to slowly infiltrate into the groundwater table. As well as intercepting runoff that could possibly add to flooding and stream erosion problems, the rain garden allows nature to play a role in removing pollutants from stormwater runoff that could otherwise affect the water quality of nearby lakes, rivers, and streams. Plants use excess nutrients for growth, sediment gets trapped in the rain garden, and the rain garden becomes a landscaped feature in your yard that is also habitat for bees, butterflies, and birds. Plus, a rain garden uses water from your rooftop and driveway for irrigation, saving you money on your water bill. For more information on upcoming Rain Barrel or Rain Garden Workshops, please click on Lexington County Workshops.